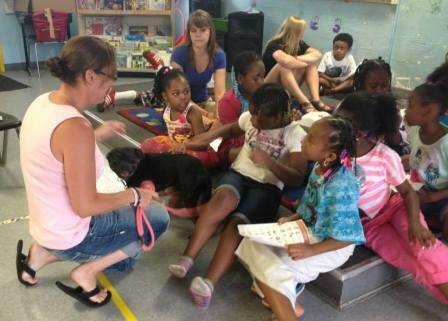 These humane education visits are about youth learning to give, earn and receive respect, friendship and love from each other and their pets. 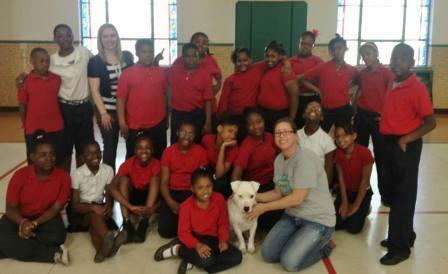 The BCBC visits primarily inner city schools where other humane education opportunities don't exist. We do occasionally visit schools outside of the City of Milwaukee, as well as Humane Societies, Boys and Girls Clubs, Girl and Boy Scout Troops, and other youth organizations all around the Metro Milwaukee area. On our visits we're always accompanied by a Therapy Certified pit bull type dog. 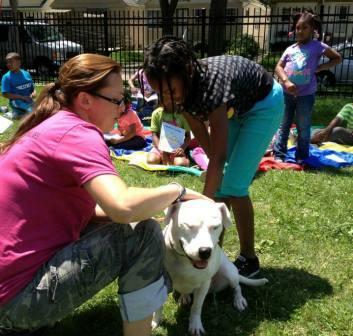 We encourage the kids to interact with the dog appropriately. We respect children's fears and never force anyone to interact with our dog.